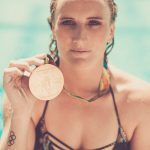 Join Face the Current in Peru and Bolivia from 16 November to 1 December 2018! 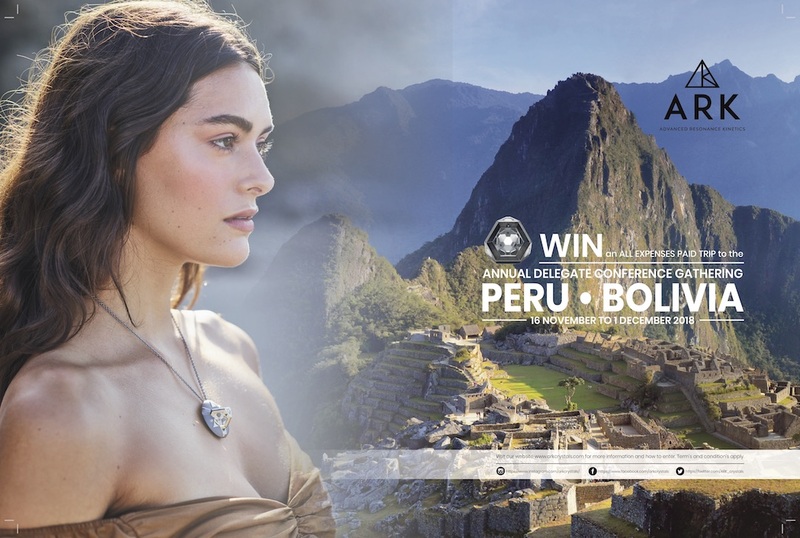 Enter to win an all expenses paid trip, including round trip airfare and accommodations, and experience an incredible itinerary (see below)! To enter, simply purchase an ARK® crystal and sign up for the Resonance Science Foundation Academy Program and you will stand a chance to win this once in a lifetime trip. 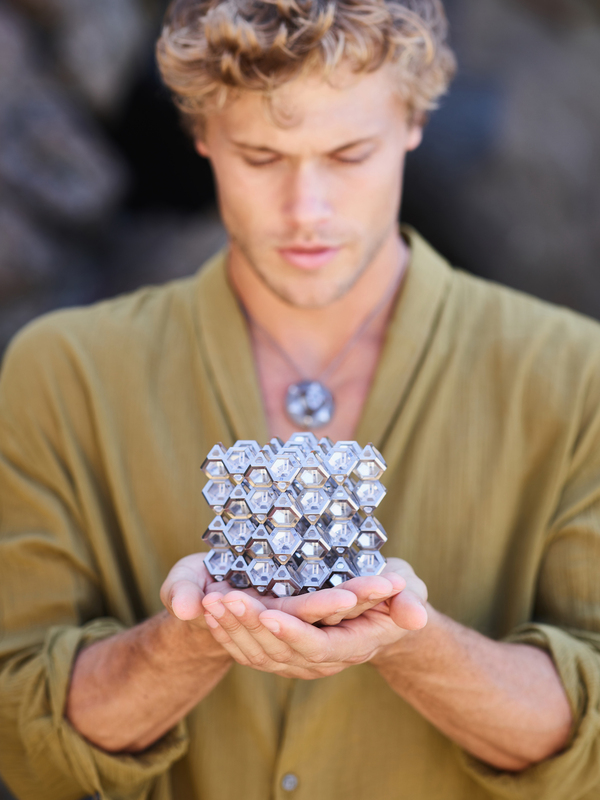 Visit ARK® crystal’s website to enter! *Competition closes October 15, 2018. Winner announced on October 16, 2018. Terms and conditions apply. 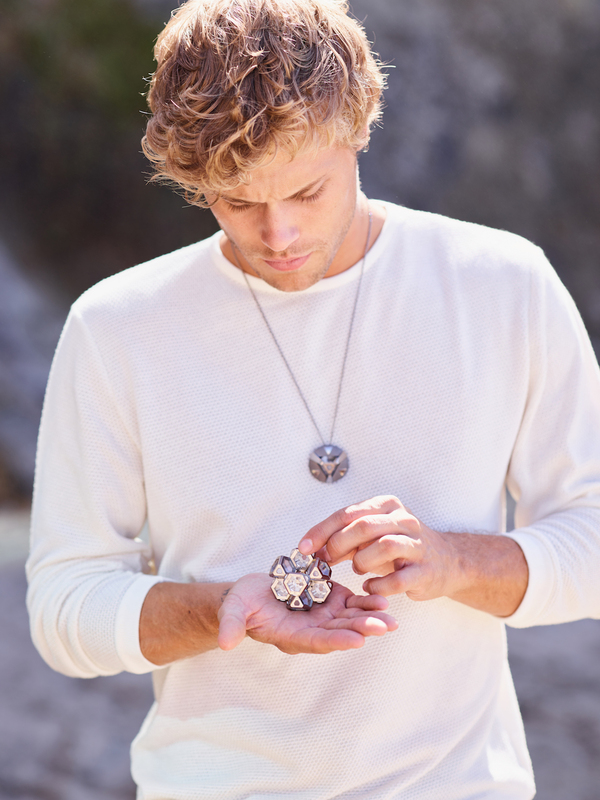 Learn more about ARK® crystals in our article HERE, published in Fall 2018 issue of Face the Current Magazine, or order your ARK® crystal now! High angle view of the ancient Inca ruins of Machu Picchu as seen from the approach along the Inca trail. Mount Huayna Picchu is in the background. 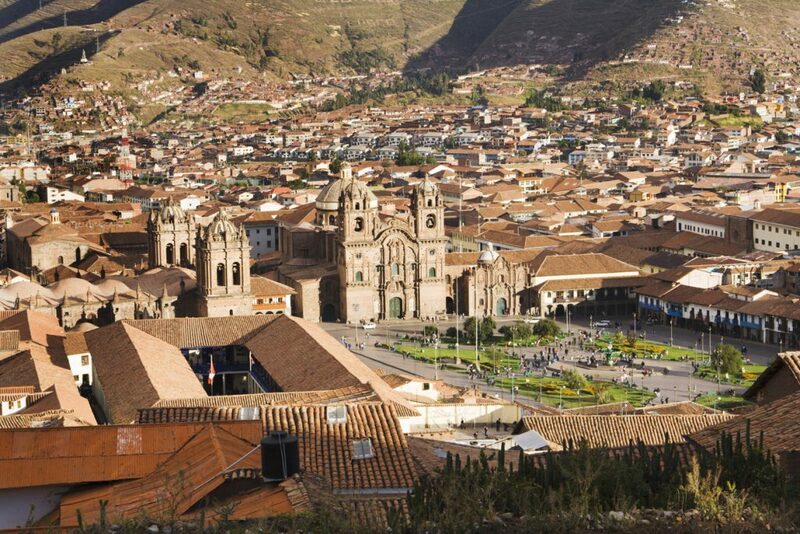 A view of Plaza de Armas, the town center of the city of Cuzco, Peru. 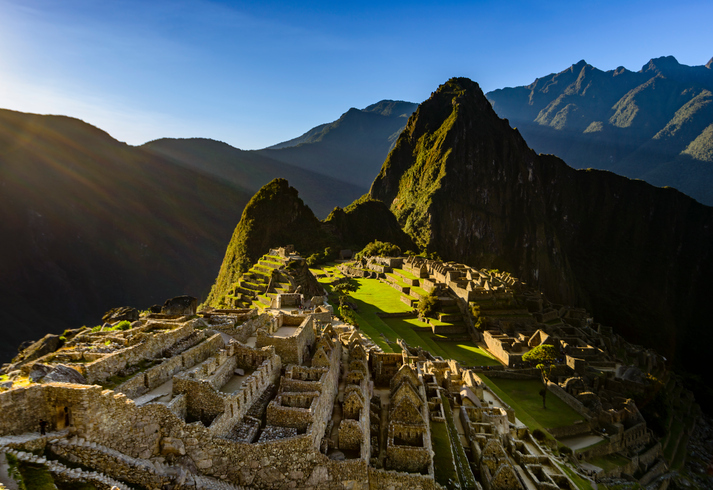 You are entering the Peruvian Delegate Adventure Tour as you embark upon a journey of a lifetime! Enjoy your first days at our luxurious hotel in this extraordinary, majestic city. Walking tour and visit to the INKA Museum (elongated skulls & mummies & artifacts & arts). Inca agriculture terraces of Moray near Cusco, Peru. Scenic bus ride to Moray and to the round terraces at the archaeological site. We’ll create drum circles together as we experience sound vibration technology. We explore the fascinating terrace – 3 separate structures carved deep into the earth – these amazing structures have been used as agricultural laboratories to adapt seed to then be sent to the massive agricultural complexes. We continue to the neighboring town of Maras, a center of salt production since Inka times where we admire over 3,000 salt evaporation pools, carved into the side of the rock and filled daily by tiny mountain streams. 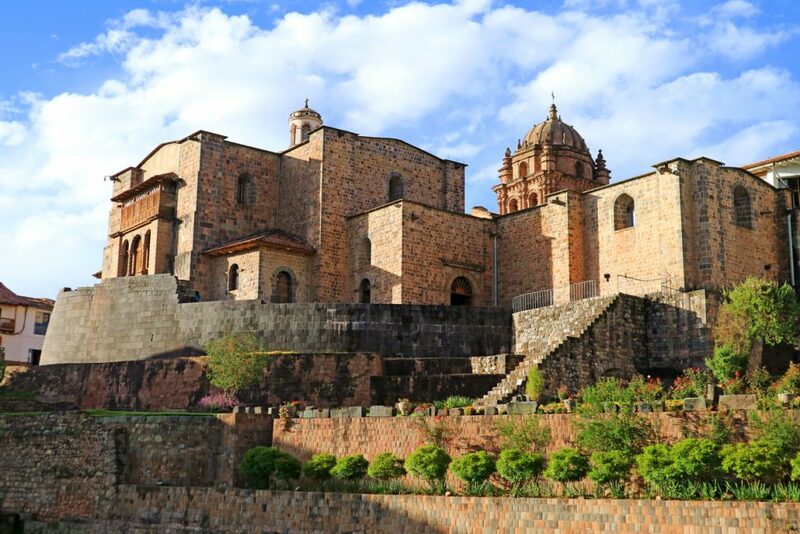 Next we’ll visit Chinchero, a small Andean village, and admire the well-preserved Incan walls of the main square as well as the many altars. Visit the colonial church and admire its interior artwork and design, before making a visit to an Andean textile. Throughout the afternoon, discover the beautiful art and its practice as you become acquainted with a wisdom of weaving that has existed since the time of the Inka. At 8:30 am, we’ll start our day visiting the Inka site of Saqsayhuaman, spending the whole day to visit all the different sites located in the Park. This particular park has the most amazing remains of the ancient technology, showing the proof that these rocks were carved with sophisticated tools with megalithic rocks. Then we’ll visit the area called Rodadero, the amphitheater, the reservoir, a few caves called by the locals (chinkanas) and Big Chinkana. 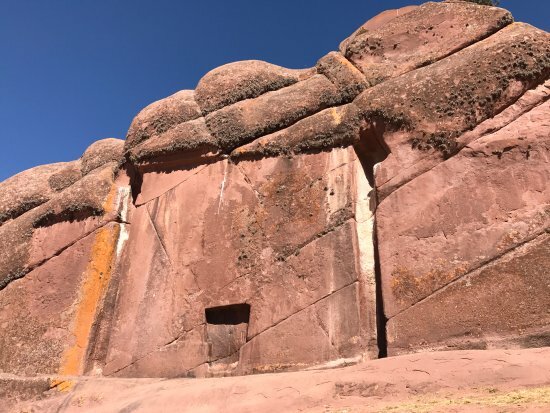 This site has many carvings and also the entrance to a tunnel used to connect with underground passages to different parts of Cusco. We’ll then conclude this part of the day with a picnic lunch. Onward to Kenqo! Another curious site with more evidence of ancient technology and amazing carvings and altars. Then Lanla Kuyoq, the Fertility Temple, The Qoa temple (Qoa is a type of Puma). Next we’ll visit Tambo Machay, the temple of the water, where there is still a working aqueduct that comes from under the earth and on its way irrigated many agricultural lands. 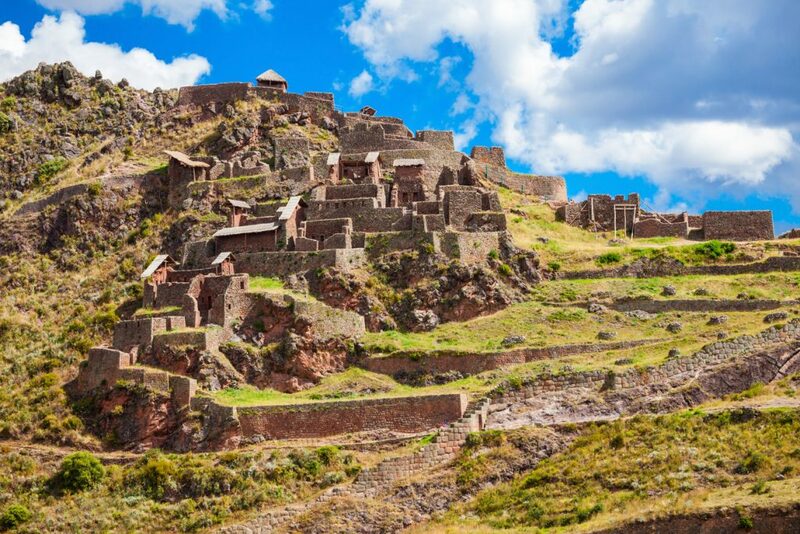 At 8:30 am, we’ll venture on our bus direct to the Inka site of Tipon, an example of the advanced architecture and hydraulic engineering of the Inkas. This site is well preserved, and all the watering systems are still working. Afterwards, we’ll continue to Andahyalillas, The South American Sixtina Chapel. Amazing remains of the Indian paintings – fusions of the catholic and Spanish school. The next Village is Huaro, another unique site where the city hall has a small but rich museum with amazing pieces of ancient technology. After another wonderful day we’ll come back to Cusco. After breakfast, we’ll take our bus straight to the Sacred Valley. On the way, we’ll enjoy the view of the picturesque villages, making a few stops to appreciate the beauty of the land. Our first visit will be “AWANA KANCHA”, an interesting weaving project, here we’ll have the opportunity to see the diverse Andean Camels, Llama, Alpaca, Huanaco and Vicuña. 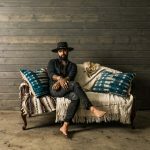 We’ll then have a weaving demonstration; how they make the yarn from the wool, the dying using natural product herbs, roots, and minerals, then the weaving process until the finished product. Continuing with our visit we’ll travel to Pisaq, a unique Inka site. Here we’ll explore the area like going back in time. With the spectacular trails, terraces (agricultural lands), and a diverse type of construction and architecture, showing us the magnificent development of the Inka culture. Afterwards, we can visit the Indian Market. Continuing with our tour we’ll travel to Urco, one of the most interesting ceremonial sites of the Inkas, where we’ll be having a Kinstuska ceremony. (The live Inka vision Board) after this we’ll go to our hotel for dinner and overnight stay in the Sacred Valley of the Inkas. 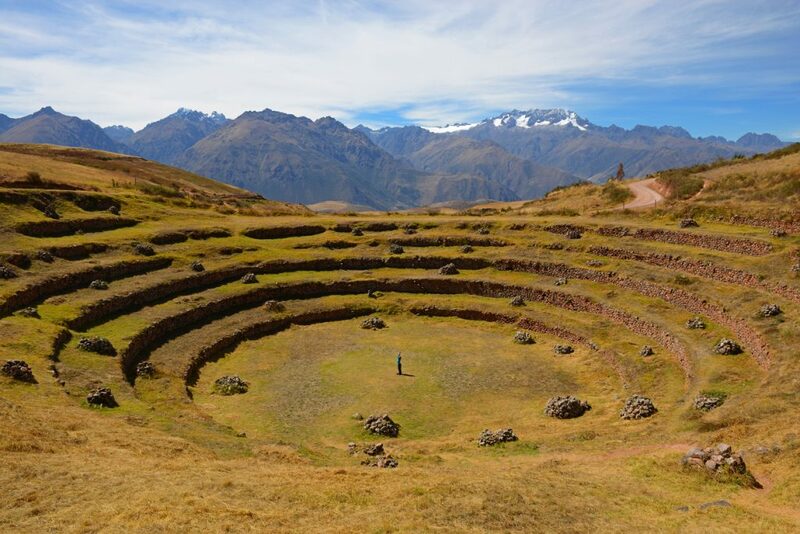 We’ll be taking our bus to the town of Ollantaytambo, and during the tour we can see different places like a beautiful Andean panorama.We will visit this great archaeological complex, which is located near the town. 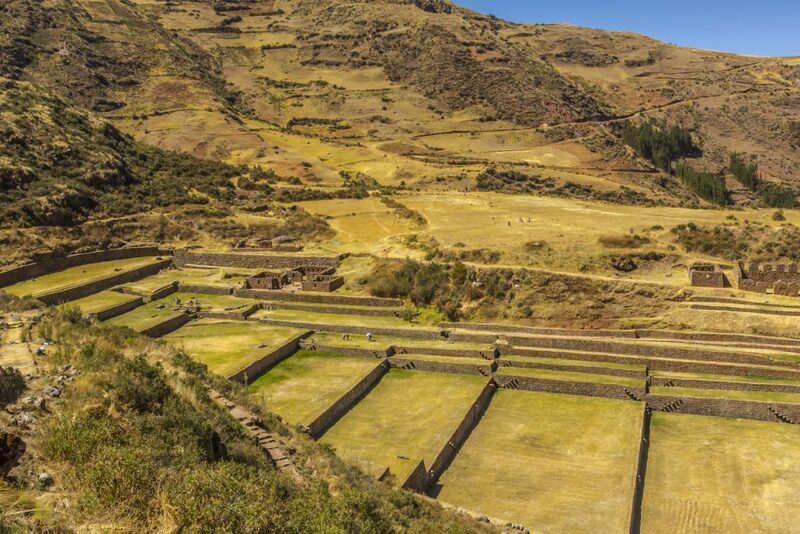 it’s a site with all the characteristics of Inka Urbanism, distributed in several sectors within a large space. Nature is in harmony with its buildings. We can observe the religious, urban, agricultural sector as a series of elements typical of the Inka architecture. Ollantaytambo is the only town in which the indigenous peoples are still living in constructions of the Inka time. Here, we have many examples of this incredible stone work. Gigantic carved rocks, some of which were never finished, and in other sectors perfect cuts in the bed rock, sowing this magnificent work with unknown ancient technology. We’ll enjoy the whole day exploring this unique Inka jewel. The Peruvian train journey from the city of Cuzco to the Inca ruin of Machu Picchu, along the Andes mountain plains of Peru. After breakfast, there will be a tour of Semanario Ceramic learning the Ancient crafts! Then, a Thanksgiving Celebration, sharing with an Andean community, giving joy, happiness and love, serving the children refreshments and enjoying dances, colorful costumes and touring the local market. 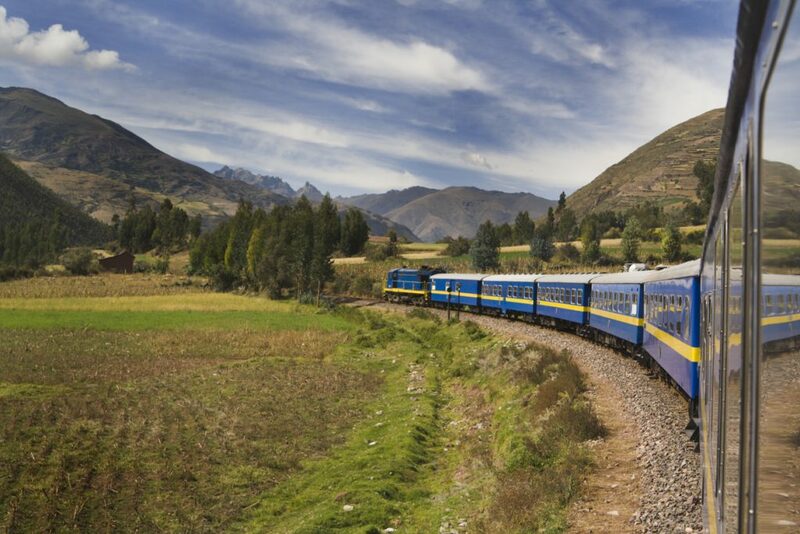 Late afternoon special chartered train to Machu Picchu area with spectacular views to Aguas Calientes, where everyone will check in to their charming hotels and enjoy the Ambiance of this cozy town near Machu Picchu. Tourist walking through the ancient ruins of the Inca city of Machu Picchu in the early morning. Mount Huayna Picchu can bee seen in the background. We’ll be taking the bus at 11am to transport the group to one of the seven wonders of the world, Machu Picchu, the enigmatic Citadel of the Incas. This site is nailed between the ancient regions of the Chinchaysuyo and Antisuyo, between the highlands and the jungle, connected at it’s time by a net of roads with all the towns that were surrounding the site. It’s location, and also the climate, contribute to create that atmosphere of mystery and legend that makes Machu Picchu a mythical place. Built by high hills with vertical walls (Batholit of Vilcabamba) with the Vilcanota river below, like a silver snake taking care of it’s boundaries. The Citadel looks untouched by the world of humans, rather a place for the gods themselves. We’ll have the whole day to explore and feel the powerful energy. We will all go to visit the Belmond Sanctuary and enjoy the gardens, restaurants and lounges with extraordinary views and a lovely sunset atop the mountain ranges. We’ll connect in the evening as the Full Moon is rising for a very special permit overnight stay on Machu Picchu. Looking over the ancient Inca ruins of Machu Picchu from on terrace on the Huayna Picchu mountain. A: Hike to Inti Punku, A moderately challenging trek to the Sun Gate (Inti Punku) The hike follows an original Inca trail that steadily climbs through Machu Picchu’s agricultural terraces, high into the mountains directly south of the citadel. The view from here is breathtaking. B: Hike to Machupicchu Apu, the most spectacular alternative to Huayna Picchu, available at the Sanctuary of Machu Picchu. 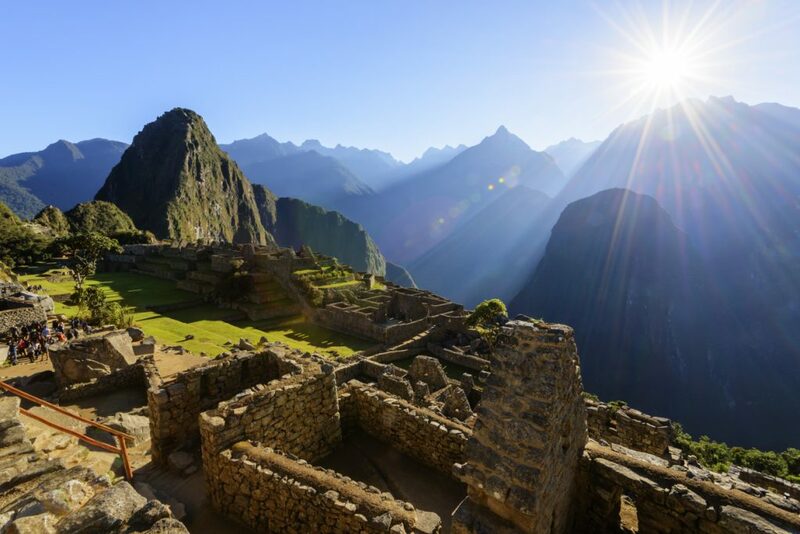 Located south-west of Machu Picchu, rises 3,082 meters (10,112 feet) above sea level; this mountain hike, offers unrivaled views of the Inca City of Machu Picchu and the surrounding mountainous landscape. At their summit Inca priests performed rituals on special dates, also performed liturgical greetings to Apu Salkantay. *This hike is only for people who are in good physical condition. C: Hike Huayna Picchu and the Big Cave. wrongly called the temple of the moon, can only be accessed by visitors with an entrance ticket to Huayna Picchu Mountain. This is one of the most amazing hikes you can take here. Climbing to the top of Huayna Picchu mountain, then following the trail that I discovered in 1986 will take us on a nice adventure and truly feel the sensation of being in an ancient time. The path is surrounded by the cloud forest that makes you feel as though you’re walking through the set of Jurassic Park. Quiet morning In Cusco to sleep in & relax and enjoy the city. Afternoon Walking tour of majestic city sites & visit the Sun Temple Qorikancha. One of the most important historical structures & the most sacred site (or huaca) in the Inca religion, and was considered the very center of the Inca world. The site was also known as the Golden Enclosure and was dedicated to the highest gods in the Inca pantheon, such as the Creator god Viracocha, the moon goddess Quilla and especially to Inti, the god of the sun. 7:00 am, after breakfast, we’ll depart from our Hotel in Cusco. On route we’ll stop at RAQCHI. The most important construction of “Wiracocha Temple” the supreme God of the Inkas, Teqse Illa Wiracocha. Externally it is 92 meters long (302 feet) and 25.25 meters wide (83 feet). After this visit we’ll continue to stop in the LA RAYA. 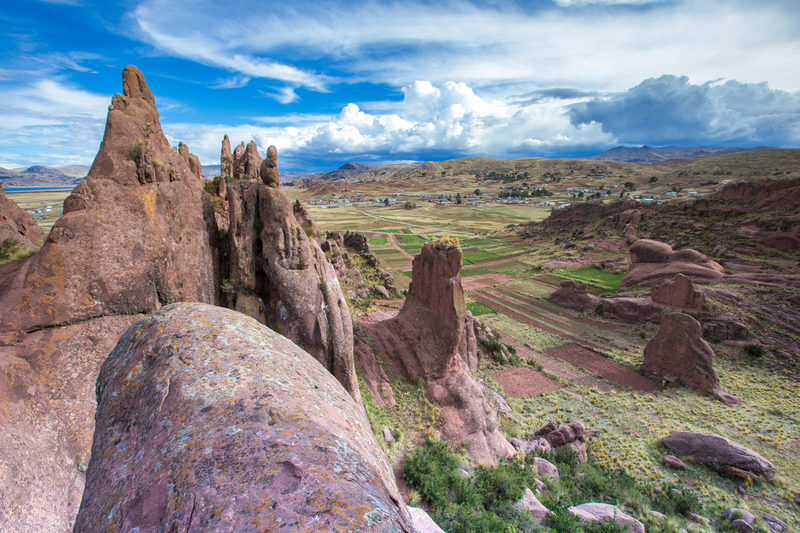 La Raya Pass is the watershed between the valley that drains into Lake Titicaca and the valley that leads down to Cusco and to the Sacred Valley. We’ll stop for an amazing unique experience of high altitude hot springs at 14,329ft and enjoy a nice picnic lunch. 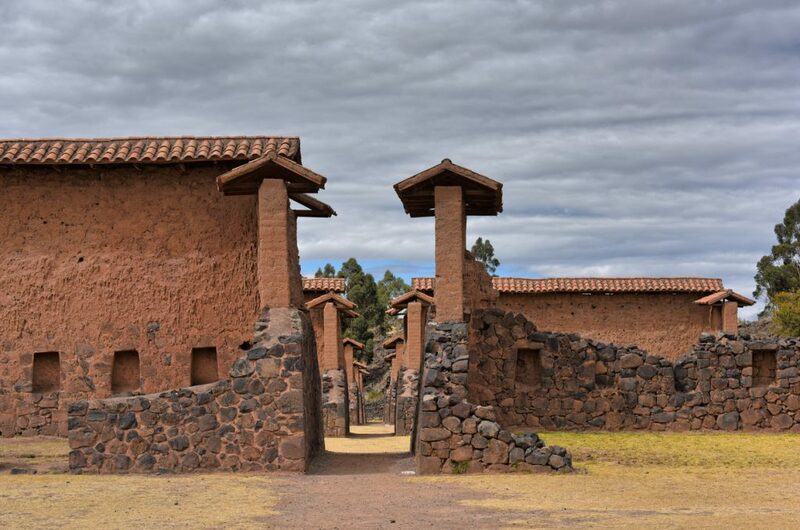 Our tour goes on to Pukara one of the first regional kingdoms in the northern Lake Titicaca Basin during the Late Formative Period (500 BC- AD 200), providing valuable insights into the origins of Andean civilization in the highlands. During its peak, it covered over a square kilometer and housed thousands of bureaucrats, priests, artisans, farmers, herders, and possibly warriors. The Pukara style is identified by impressive monolithic sculptures with a variety of geometric, zoomorphic, and anthropomorphic images, plus intricate, multi-colored pottery in a variety of ritual and domestic forms. 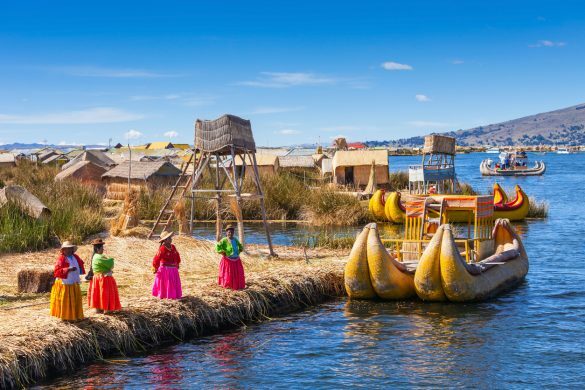 Explore the floating islands and UNESCO-listed landscapes of Lake Titicaca on this full-day tour from Puno. Admire the Inca ruins of Amantani Island, tuck into a traditional Peruvian lunch on Taquile Island, and learn about island culture and traditions on the floating islands of Uros. 8:00 am departure and transfer to the port, where a motorboat will be waiting for us. After meeting the captain and crew, hop aboard and set sail on the 3.5-hour cruise to Amantani Island, enjoying stunning views across Lake Titicaca, South America’s largest lake. On arrival, follow your guide on a 1-hour hike to the highest point of the island, where you’ll be rewarded with a spectacular view of the lakes and the surrounding islands. Spend some time admiring the island’s Inca ruins and learning more about its fascinating history, before heading back to the boat. After another hour on the water, we’ll arrive in Taquile Island in time for lunch (included) and tuck into some tasty Peruvian cuisine, followed by a cup of traditional coca tea. With your appetite sated, we’ll spend time exploring the island’s lively markets, admiring the vibrant handicrafts and perhaps purchasing some distinctive souvenirs. As we cruise back towards Puno, we’ll stop to visit the Uros floating islands – tiny manmade islands made from buoyant totora reeds. Climb aboard one of the islands to gain an insight into the local culture and learn how the islanders build and maintain the islands, their houses, and boats from the reeds. Sample typical island foods and watch performances of traditional dancing, weapons, and handicrafts. Continuing back to our hotel we’ll witness the sunset on the Titicaca Lake. 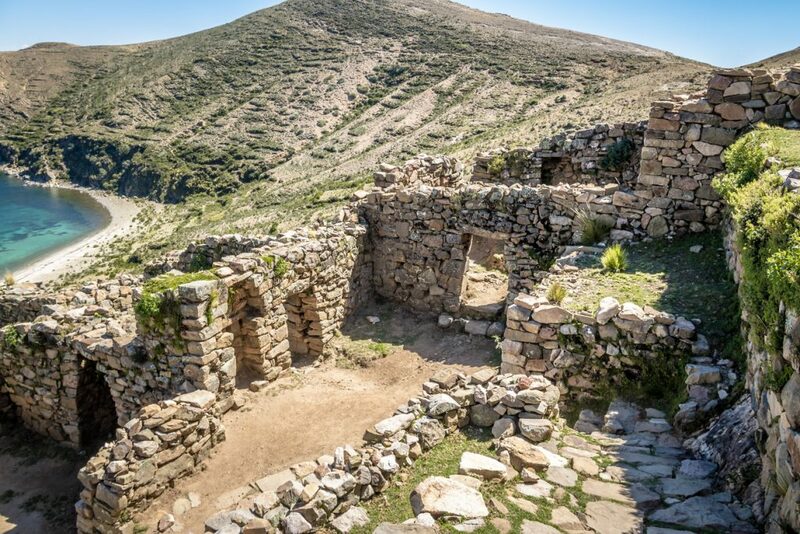 Enrich your knowledge of ancient Andean cultures on our trip to Portal de Aramu Muru from Puno. Ideal for history buffs, this tour covers the colonial town of Chucuito, the fertility temple of Inca Uyo, and the sacred portal of Aramu Muru, surrounded by picturesque rock formations. The first stop is in Chucuito village, a colonial town. 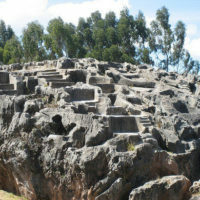 This town is close to the temple of Inca Uyo which has more than 20 penises carved in stone, probably related to fertility. 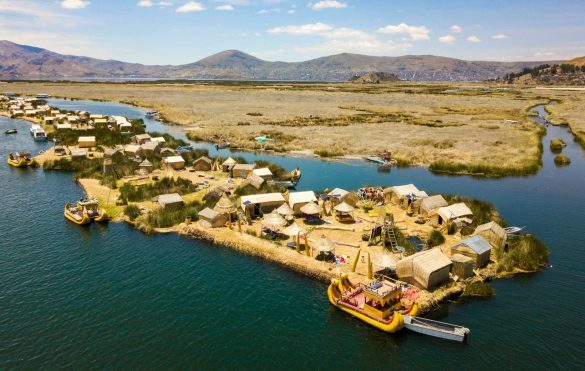 Aramu Muru or Hayu Marca, is certainly one of the most mystical places in Lake Titicaca. There is an enigmatic gate carved in one big stone located in the middle of the rocky formations. This place is a reference for many mystical people around the world. The tour will take approximately 4.5-hour. Our tour to Aramu Muru has captivating stops on the way. We will then continue to Aramu Muru’s gate which is located in a fantastic place among rocky formations. This temple works as an altar for past Andean cultures. The tour includes a short hike around to admire the stone forest. Then there will be a visit to a special secret place that very few people even know about ~ Queunani. We will continue our trip to Copacabana, Bolivia. We will visit the church built over an Inka huaca (ceremonial Center), and then stay overnight in the beautiful town of Copacabana. At 8:00am, we’ll take a motorboat towards the southern part of the Sun Island where we’ll have a guided tour of the archaeological sites, such as Pilko Kaina an Inca Temple, and the Inca stairway until… the fountain of youth. Later we have a traditional Inkan lunch in a local restaurant with incredible views of the lake and mountains. In the afternoon, we’ll take the motorboat towards the Moon Island and we start a guided tour of the archeological site “Iñac Uyo” an Inca temple dedicated to the Moon, also known as home of the Sun Virgins. We’ll return to Copacabana and then rest on our bus to La Paz, Bolivia, for an overnight stay in La Paz. Templete Semi-Subterraneo – huge sunken pit with 178 carved stone faces. 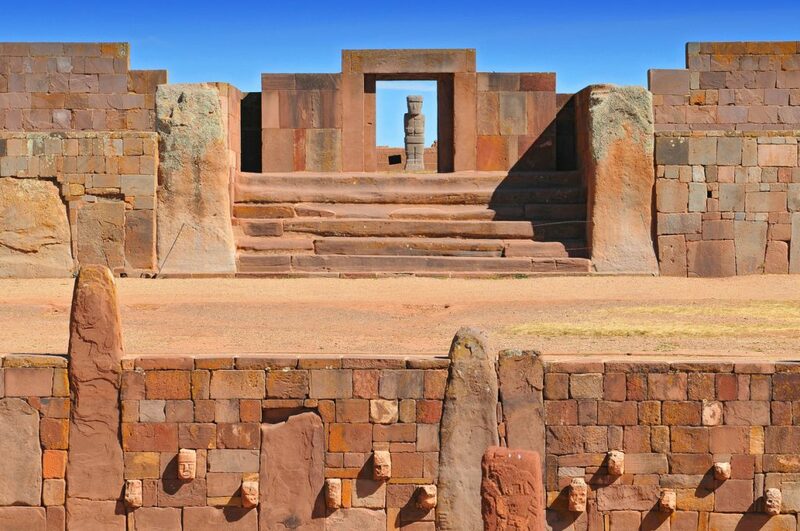 Puma Punku temple A Magnificent structure with evidence of advanced technologies from Ancient times that is still a mystery. Please be sure your passport expires after June 2019. All travelers need a passport valid for at least six months after the date of entering the country. You must have a round trip ticket. For the Bolivia tour, holders of American & [some specific countries] passports will need to apply for a special visa to visit Bolivia upon crossing the border. This is a $160 fee. By participating in the competition for the tour/seminar you agree to our terms and conditions and waiver. ARK Crystal LLC, Resonance Science Foundation, its agents and our Tour Facilitators have worked diligently to make all of the arrangements for our journey together in Peru, however, ARK Crystal LLC, RSF, its agents and our Tour Facilitators will not be held liable for delays, theft, damage, injury, or any other irregularities that may occur during the course of the journey. We will not be held liable for any changes or delays in airline schedules or missed connections; injury, loss, or damage to persons or property; additional expenses resulting from changes in exchange rates, tariffs, or itinerary; any transportation issues or problems with vehicles utilized on the tour; additional expenses incurred due to illness, accidents, weather conditions, protests, war, terrorism, quarantine, or other causes; and losses due to cancellations not subject to our terms.